Originally, a total of 48 small, medium-sized and large enterprises active in Slovakia applied for the Via Bona Slovakia Award. The evaluation committee chose the following companies for the final round of the competition. Accenture’s vision is to improve living and working conditions for people all over the world. One of the main tools used to turn this vision into reality is the company’s CSR strategy, in which Accenture focuses on community projects that help young, unemployed and disadvantaged people gain skills that lead to sustainable employment and business opportunities. The company works with local organizations to create systemic changes and permanent solutions to reduce unemployment. In regard to the environment, Accenture makes long-term efforts to reduce its ecological footprint through efficiency, for instance by minimizing the need to travel by using Skype or online trainings. The company also encourages its employees to participate in environmental initiatives, which is done locally by the Green Way Committee. Employees are Accenture’s most important asset. The company wants to attract and develop talents, so it promotes a diverse environment, confident that this makes Accenture stronger and more innovative. Accenture has made several commitments in regard to women, such as reaching a 50:50 male to female ratio among its employees by 2025. The company has also established a children’s play area with adult supervision in its offices and also organizes summer camps for the employees’ children. Accenture also contributes to the diversity of its suppliers by including a larger number of diverse small and medium-sized enterprises in its supply chain, with a preference towards local suppliers. The CSR strategy of Slovenská sporiteľňa is based on the bank’s own traditional values and also reflects the values and priorities of Erste Group, where the bank is a member. The company’s CSR policy focuses on building long-term partnerships. The bank supports a variety of projects and also has its employees and community participate in these decision-making processes. One of the key areas of its strategy is education, primarily in the area of finance. The company supports the development of financial literacy by providing direct support and also by supporting projects through its own foundation. New entrepreneurs can receive help from the Slovenská sporiteľňa social bank, which aims to help solve society-wide problems and does so by providing banking services, financial education and consulting to target groups that no other bank in Slovakia covers: new businesses, NGOs and low-income parts of the population. The bank’s board has adopted and actively applies a zero-tolerance policy against corruption, fraud, money laundering or any other fraudulent activities. This policy applies to the bank’s employees as well as its clients and partners. Moreover, the bank has implemented an environmental policy and strategy. Compliance with this policy is overseen by the bank’s Chief Environmental Officer, who is also a member of the board. ANASOFT’s philanthropic activities are part of the company’s overall CSR strategy, which includes social responsibility towards its employees, society, the environment. A key aspect of ANASOFT’s strategy is helping its employees develop and grow. The company aims to provide them with training to improve their professional qualifications and language skills while also facilitating personal development. ANASOFT wants to give every employee a way of achieving personal fulfillment as well as a good work-life balance. The employees regularly participate in corporate volunteering activities. In 2017, ANASOFT organized a Christmas auction for families from the civic association “Smile as a Gift” (Úsmev ako dar). Employees can choose from a number of benefits and take their families to a variety of events that take place throughout the year. ANASOFT works with technological innovations that can directly influence the environment. For instance, the company has decided to create a paperless office, thus reducing its negative impact on the environment. For 12 years now, the company has been supporting ANASOFT litera, a Slovak literary prize for the best work of prose published in the previous year. 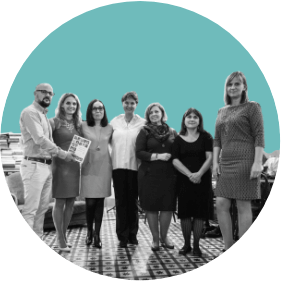 In addition to its main goal, which is to support original Slovak literature, the prize also gives readers a better sense of the Slovak literary scene while also supporting publishers, booksellers, librarians and especially authors. BUBO Travel Agency’s main mission is improving Slovak travel culture. The company wants its employees to be satisfied with their work, which is why it has established the BUBO Traveler’s Academy, which aims to provide training for its employees. In 2017, the company published the so-called “Drietoma Textbook”, which analyzes real-life examples of problems that employees came across in the previous year. In addition to education, BUBO also supports the employees’ physical condition, for instance by organizing a variety of sports activities. One of the company benefits is that BUBO employees (and not just the tour guides) get to attend adventurous trips. More than 50% of the employees go on holiday to exotic destinations each year. Past team-building trips for BUBO employees include destinations like Amsterdam, China, India and Vietnam. BUBO was one of the first companies in Slovakia to start sorting waste. The company uses its trips to promote environmental activities and educate its clients about the topic. Advocating against littering, its main motto is “take away everything you brought with you”. BUBO has created its own moral code for tour guides and all employees are trained in it. The main motivation of the Nereus swimming school is to give children from all social backgrounds the opportunity to swim and help provide sports activities for anyone who is interested in them. Swimming lessons and work with children and young people in general require the employees to be dedicated and enthusiastic. This is something that Nereus tries to cultivate in its company culture. A responsible approach to doing business came as a natural consequence of the way the company was managed. Its basic values are trust and respect. Both employees and parents get to participate in decision-making processes. 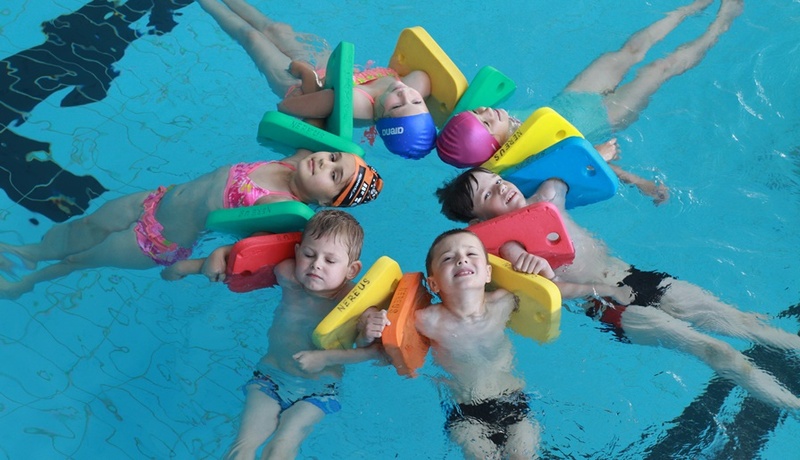 In 2017, the company gave the trainers and parents the opportunity to join the club’s member base, which makes decisions about the swimming school’s operation and future. The company also provides benefits for its employees, such as a flexible work time that reflects their personal needs, work clothes, discounts for family members, educational courses and team-building activities. Based in Žilina, the company is also aware of its important relationship to the local community. It has been building a strong relationship with a community of people united by their love for sports and interest in swimming. Nereus works with several non-profit organizations, either by providing financial support or by giving these clients significant discounts. The company also wants its services to be available to people from socially disadvantaged communities, which is why children from low-income families automatically receive significant discounts on swimming courses. NosKin’s project is based on delivering farm produce. What makes it special is the company’s exceptional relationship with its suppliers, customers and competition. However, the greatest benefit for the company comes from its focus on suppliers since its support of local farmers is beneficial for the entire Slovak market. The farmers can use the NosKin e-shop to deliver and promote their products, which saves them the time and money that they would otherwise invest in marketing and distribution. This way, they can focus entirely on production. In 2017, the project delivered a total of 17,500 kg of products all over Slovakia. That same year, NosKin initiated the creation of (so far) an informal union with its “competition” – brick-and-mortar shops like Farmársky Rínek in Pezinok or U Babičky in Bratislava. In doing this, the company shows that the goal of competition should not be rivalry, but rather supporting local farmers and satisfying the customers’ needs. But NosKin’s fair approach and a feeling of security are not the only things the company provides to its suppliers. It is also a stable partner who purchases products from small-scale farmers, thus giving them the potential to grow. In 2017, the company also raised awareness about so-called “crooked” vegetables. Orange Slovensko promotes the smart and responsible use of telecommunications services, especially when it comes to children. The company’s main priority since 2006 has been to raise awareness about the risks of the digital age and to limit their impact. It provides support in this area by organizing free workshops and educational activities. To make raising awareness more efficient, the company has created the online platform called Children on the Web, which collects all the necessary information, teaching materials, brochures, worksheets and tips from experts. Teachers can use these materials at lessons of media education, ethics or computer science. The company has also organized an interactive exhibition under the title Internet Children, which demonstrated the risks and benefits of modern technologies, drawing in more than 10,000 attendees. Orange Slovensko provides practical advice for its customers, helping parents decide what type of first phone they should give their children and when is the right time to do so. The company also offers a service called Prima Kids, which allows parents to check on their children both online and offline. In the fall of 2017, the company created a team of instructors and organized preventive lectures at elementary schools and high schools. The team held a total of 240 interactive lectures that were attended by a total of 4,592 students. 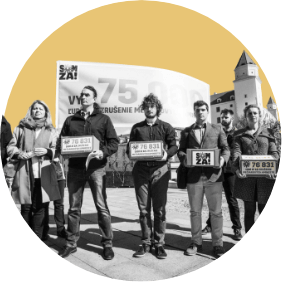 Evidence shows that many young people don’t realize how important 17 November and the Velvet Revolution were for modern society in Slovakia. O2 Slovakia has decided to change this by creating a project titled 17 November. It aims to remind people that the values of freedom and democracy are not a given and should be valued. The company organized several activities to show people the benefits that the Velvet Revolution brought to Slovakia. As part of the project, when users wanted to reach foreign websites, they were presented with a notice simulating the Iron Curtain. It contained a warning indicating that the user was about to cross the “border”. The project also received support from several social media influencers who have a large-scale reach among young people. The project took place online as well as offline, by actually crossing the border. In cooperation with Slovak Lines buses from Bratislava to the Schwechat airport in Vienna, passengers had the option to see a video and listen to a radio commercial commemorating the Velvet Revolution. O2 Slovakia used the project to provide systematic education for the young generation and develop their critical thinking. The campaign had a total reach of 1.7 million Slovaks. One company in the Fair Market Player category received special recognition for its inspirational project – GAMI5, s.r.o. for its project entitled Sell, Buy and Make Money Online. The online portal www.jaspravim.sk works as a network to connect sellers and buyers, creating a fair and safe online marketplace. Lidl Slovenská republika with its project titled Fairy Tales for All Children. Around 55,000 children are born in Slovakia every year and more than one tenth of them need medical assistance directly after birth. That is why Lidl Slovenská republika decided to launch a project titled Fairy Tales for All Children. For purchases above 20 euros, customers could buy one of three classic fairy tales for a symbolic 1 euro. These were actively presented to the customers by the employees themselves. The result of their efforts was support for 53 neonatal care centers all over Slovakia, which received life-saving equipment for prematurely born children worth more than 1 million euros in total. What makes the project special is its scope since the equipment was donated to every neonatal care center that provides free health care in Slovakia. So far, the equipment has helped save or improve the lives of more than 15,000 children. Lidl has been organizing projects to support centers of neonatal care for three years. Over this time period, the company has donated equipment worth almost 2.5 million euros. GSK Slovakia focuses on improving the health conditions in Slovak Roma communities. The Luník IX borough of Košice has the highest density of Romani inhabitants per municipality. This area has an increased occurrence of various diseases, such as scabies and tuberculosis. GSK is making efforts to fix this situation by providing health mediation services. Health assistants come directly to the affected areas, which is extremely beneficial for the project’s sustainability as well as for the community itself. The assistants try to change the community’s habits in a variety of ways, for instance by booking health checkups, treating injures and helping people with chronic illnesses. In short, they help those who need it, whether it is children or the physicians they work with. With their help, this area has seen reductions in morbidity and premature mortality rates that previously afflicted both children and adults. In 2017, the assistants helped more than 18,300 people. Since its first launch in Slovakia, the project has expanded to four other Central European countries – Hungary, Romania, Serbia and Bulgaria. People living in Bratislava now have a greener transport option at their disposal. GO4 is continuing its company strategy titled ZERO-EMISSION MISSION. 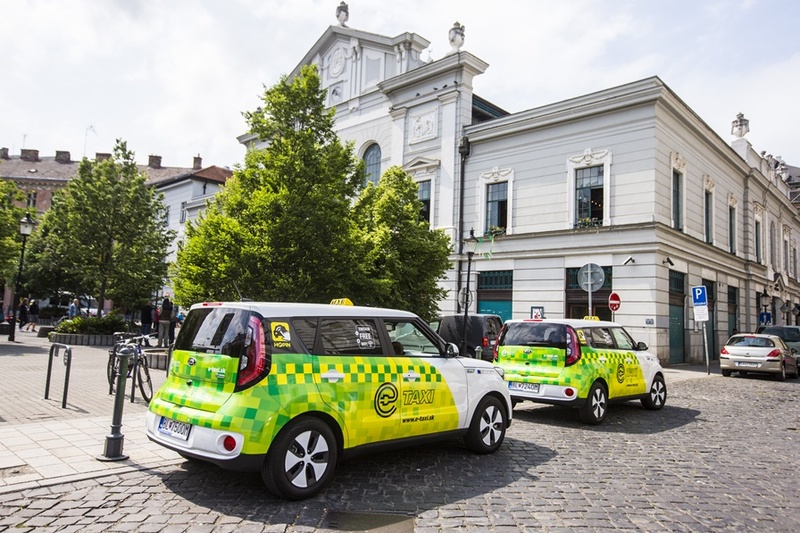 After its environmentally-friendly bicycle courier service called Švihaj Šuhaj (literally “Hurry Up, Lad!”), it has now launched a zero-emission taxi service. In cooperation with the HOPIN mobile app, in June 2017 the company introduced seven taxis powered exclusively by electricity. After the first six months, measurable indicators showed that the project had managed to reach the positive impact that the company originally set out to achieve. The taxis had covered almost 200,000 kilometers, saving approximately 40 tons of CO2 emissions compared to taxi services that use combustion engines. They had also contributed to a reduction in noise and dust particles in the air of the Slovak capital. This environmentally-friendly mode of transport is a welcome option for the company’s clients, who often choose it over other options. Competing companies have also noticed that this solution is efficient, which is why other cities in Slovakia and abroad have expressed interest in similar services. IKEA Bratislava with its Second Life For Furniture (Druhý život nábytku) project. IKEA Bratislava has decided to give furniture another chance. Part of its People & Planet Positive strategy is to serve as inspiration for millions of people and help them focus on efficient living. The project gives customers the option to sell unused or unnecessary IKEA furniture back to the company. IKEA then offers the furniture in the as-is section of its store at a discounted price – the same price for which the furniture was bought from the customers. In the first two months of this project, the company received almost 300 offers. 111 of them were accepted, bringing the total value of the purchased goods to 4,500 euros. The project aims to minimize the amount of furniture that customers no longer need, thus extending its life cycle. As part of its strategy, IKEA has also set several other goals for 2020: offering smart solutions and products for a more efficient life at home, shifting to 100% renewable energy in its manufacturing process and creating conditions for a better everyday life for people and communities. The Adopt a Beehive (Adoptuj úľ) project from Impact Futuristics helps beekeepers all over Slovakia. In 2017, the project facilitated beehive adoptions for more than 238 people, for which they received 870 kilograms of honey. With their help, the company managed to build 260 new beehives and support 11 beekeepers. These activities brought more than 13 million honey-bee pollinators to Slovakia. The company also offers financial aid for new beekeepers since starting a new business can be difficult. Impact Futuristics has decided to focus on honey bees for two reasons – the company is aware of the important role honey bees play in the ecosystem and knows that the number of bees is dropping every year. It aims to raise awareness about beekeeping in Slovakia, especially among the younger generations, and does so by offering schools free field trips to honey bee farms and inviting beekeepers to schools during off-season. The company aims to teach children that they should value nature and show them that honey bees are valuable for the whole world and are nothing to be afraid of. There has also been long-running tension between beekeepers and farmers caused by the use of pesticides, which Impact Futuristics tries to combat by facilitating cooperation that would be beneficial for both sides of the conflict. PURE JUNK DESIGN s. r. o. received special recognition in the Green Company category for raising awareness about recycling, promoting an environmentally-friendly approach to life and supporting local markets and products. The company aims to offer an alternative to traditional products. 75% of its products are made from waste materials and 25% from recyclable materials. Equality in the workplace – that the goal Accenture has set in its Diversity and Inclusion Plan. The plan takes into account that diversity in teams helps produce more stable and better results for clients. 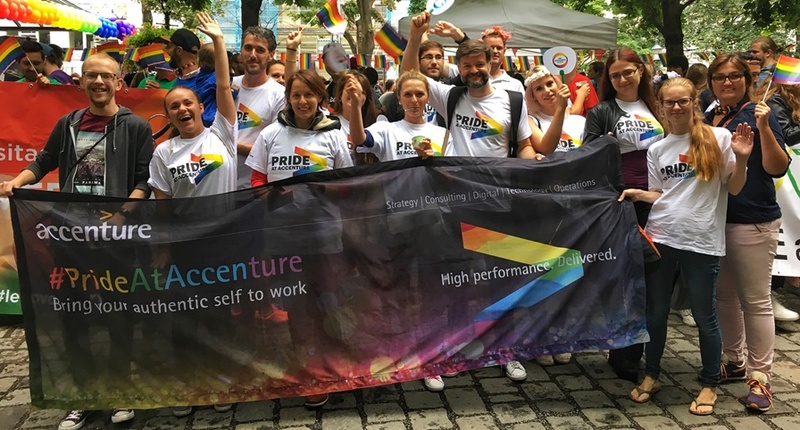 One of the main groups that Accenture focuses on is LGBT employees. The company organizes a variety of activities to raise awareness about LGBT in the company and ultimately to promote inclusion. In order to reach this goal, Accenture has committed to a zero-tolerance approach towards any signs of intolerance against minorities. As a means of promoting inclusion, Accenture has also created the Pride Network, which provides support for LGBT employees. As a result, LGBT employees, stepparents and parents of adopted children are now all equally eligible for family benefits, such as wedding or childbirth bonuses. The company also expresses its support by attending the Bratislava Pride Parade, organizing trainings for LGBT managers and handing out lanyards that employees can use for their ID cards. Accenture aims to become a company where employees can be themselves from both a personal and work perspective. Employees are VSE Holding’s biggest priority, regardless of their age, gender or race. The company promotes a gender- and age-balanced environment, creates conditions to enable better inclusion, mutual networking and a better understanding of the business activities of various companies from the VSE Holding group. The company aims to promote these values by organizing Diversity Days, an event connected with various workshops about topics like the generation gap, first aid in the workplace and IT innovations that make work easier. Inclusion is also an important topic covered by workshops focusing on the employment of Romani or handicapped people. The company has also had an internal campaign aiming to show its employees the importance of diversity. The employees were given the opportunity to visit different workplaces to see what work at other departments looks like. The company has also signed the Diversity Charter, committing to respect workplace equality. This category also includes a special award presented in cooperation with the Ministry of Labor, Social Affairs and Family of the Slovak Republic: Family-, Gender Equality-, and Equal Opportunities-Friendly Employer. A total of seven companies are nominated for this award. 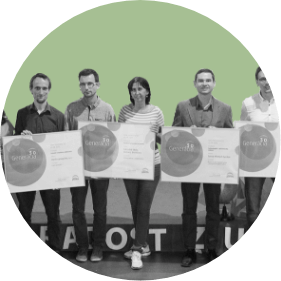 One company in the Great Employer category received special recognition for its inspirational project – O2 Slovakia for its project titled Mindpark: In-Company Startup Incubator. This unique project enabled employees to develop their creativity and work on skills that aren’t directly connected to their work duties. Today’s children will need to develop digital skills if they are to be successful in the future job market. However, current schools are not doing enough on this front and computer science teachers lack the tools needed to provide them a quality education. Many of these teachers do not have the appropriate qualification and they aren’t receiving enough support. This is why Accenture aims to promote better computer science education at schools and motivates teachers to start teaching programming in the lowest grades of elementary school. The company shows teachers how they can incorporate block programming into computer science lessons in an enjoyable and playful way. This way, their students get to experience interesting and inspirational computer science lessons. 200 teachers from 150 elementary schools participated in the project, which is 5% of all elementary schools in Slovakia, reaching more than 10% of all students. The teachers who have attended the Accenture trainings have presented the activities to more than 10,000 pupils. When it comes to elementary schools, boys and girls are equally involved in this project. On top of that, the teaching environment as well as all the training activities and support materials for schools, teachers and students are completely free. According to the WHO, approximately 1.5% of the world population (i.e. more than 100 million people) consists of blind people. They often have limited access to full-fledged games for themselves and their children. 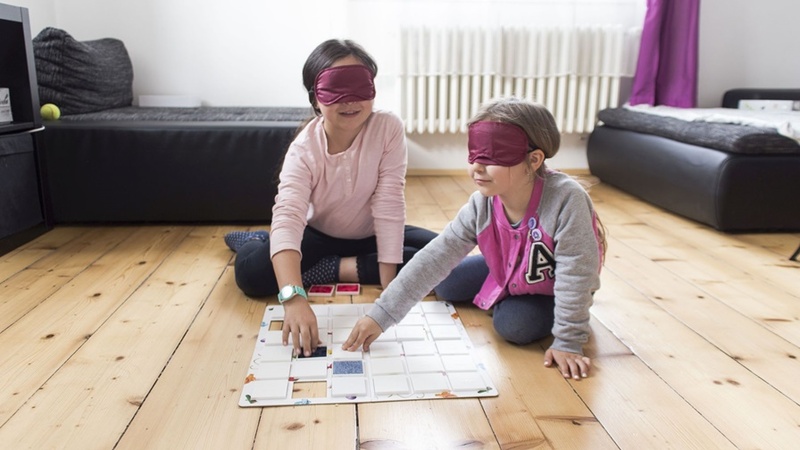 At first, Niche wanted to create a board game for blind people. However, it turned out that Memonik is just as suitable for people with no visual impairment. Memonik is a tactile memory game which can be played by blind people as well as people with no visual impairment, speakers of different languages or seniors together with children. The game is actually a simple, but also variable and universal tool that can be used to train your attention, memory and fine motor skills. The whole project is designed in a way which also makes the production and sales process as socially responsible as possible. In order to reach this goal, the company works with the Srdcerváči sheltered workshop and the project is also supported by the Slovak Blind and Partially Sighted Union. As one of the biggest food retailers, Tesco is aware of its responsibility and has committed to reduce the amount of food waste it produces. The company has improved its processes to produce as little food waste as possible in its store locations. 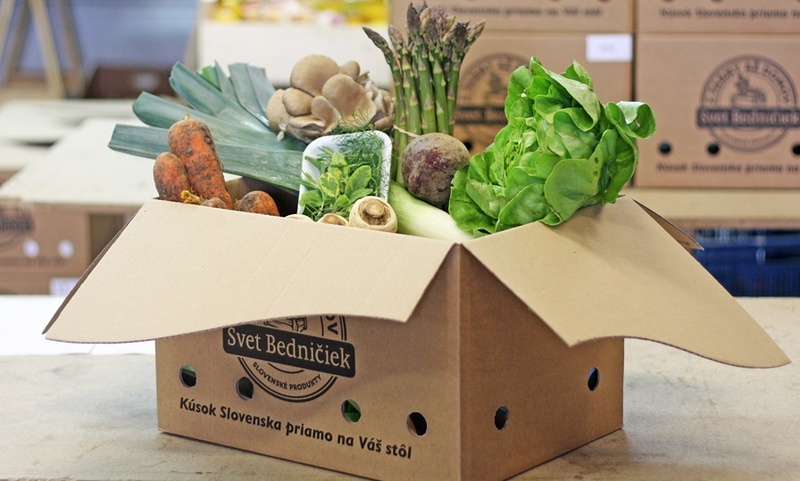 As a result, Tesco is the only chain store that is able to donate surplus food to all the administrative districts of Slovakia, using a network of 100 Tesco stores. In cooperation with the Slovak Food Bank, Tesco has donated 313 tons of food so far. In September 2017, Tesco also became the first chain store in Central Europe to publish data about the amount of food waste produced in its stores. With the goal of reducing the amount of waste produced by suppliers, Tesco participates in a unique project titled Perfectly Imperfect, where the company sells fruit and vegetables that do not meet the traditionally applied visual standards. Tesco also encourages its customers to contribute to its efforts in reducing food waste since a large proportion of food waste is produced directly at home. 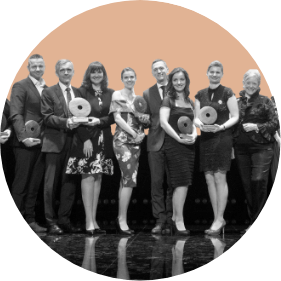 One company in the Social Innovations category received special recognition for its inspirational project – Slovak Telekom for its Inclusive Care. It is a comprehensive, long-term project aimed at creating an inclusive company environment. It includes educational activities which help employees develop their values, combat prejudice and stereotypes and learn what special-needs customers and other people from vulnerable groups need. The project also aims to improve the experience of disadvantaged customers. PURE JUNK DESIGN offers an alternative to mass-produced products. 75% of its products are made from waste materials and 25% from recyclable materials. The company, which is active in Žilina, focuses on processing local waste. Its mission is to show the public that recycling and upcycling do not reduce the value of a product. Quite the contrary – recycled products can have an interesting design and functions, which definitely makes them competitive. Last year, the company managed to recycle more than 8 tons of wood waste, creating more than 700 products, from small accessories to complete interior solutions. Pure Junk encourages cooperation between the city, the processing plant, companies and craft schools. The company’s main goal is to create a concept that could work in any city or town in the world. Pure Junk also aims to raise awareness about recycling, an environmentally-friendly approach to life and supporting local markets and products. Fighting food waste is an absolute CSR priority for Tesco. The company has committed to focus on Sustainable Development Goal (SDG) Number 12, namely Responsible Consumption and Production Tesco is aware that the only way to achieve society-wide changes is by promoting cooperation between different sectors, which is why the company has been focusing on close cooperation with suppliers and creating space for discussion. By 2030, Tesco aims to help reduce the global amount of food waste by half. To achieve this goal, the company now heads a unique coalition of executives called Champions 12.3, which connects experts from the public and private sectors with research institutions and civic associations in order to accelerate the process of meeting this Sustainable Development Goal. 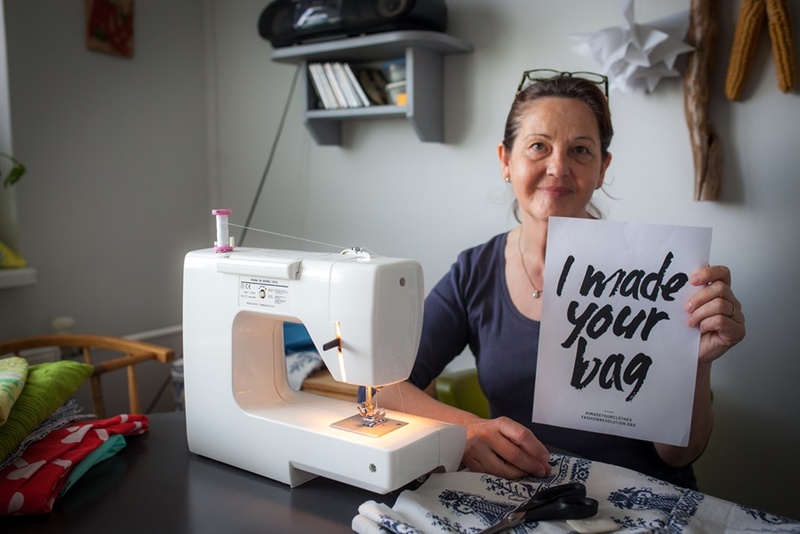 WakiVaky produces bags, drawstring bags, fanny packs and other accessories from recycled materials. The company buys surplus and waste materials from textile manufacturers and recycles textiles that no longer fulfill their original purpose. WakiVaky’s main goal is to reduce waste, with a special focus on textiles. The company gives materials another chance and creates practical and popular products. In order to create as little waste as possible, it often chooses zero-waste cuts. All WakiVaky products are hand made in Slovakia, currently by 7 seamstresses. This way, the company provides work for people from various Slovak regions, especially women living in difficult conditions and people from disadvantaged groups. In 2017, they recycled almost 200 kg of textile waste and sold approximately 450 products. The company also organizes events and activities that focus on environmental protection. The Via Bona Slovakia Awards will be presented on 10 April 2018 in the Old Market Hall. The award ceremony will be broadcast live on Dvojka, the second public TV channel.